We have all experienced eye twitching at least once in our lifetime (or may be, many times!). It occurs quite unexpectedly – when you are watching TV, reading a book, or cooking. There is no special timing for it, but it is definitely irritating when your eyes start behaving in a weird way all of a sudden. Though it’s not life-threatening, it can lead to serious problems in the future. According to science, eye twitching is an uncontrollable and repetitive spasm or blinking of the eyelid (usually the upper one). This eye muscle spasm can affect either one or both the eyes and can last from a few seconds to a couple of minutes. So, why does eye twitching happen? Well, there is no scientific reason for its occurrence, but it is usually linked to excessive stress and fatigue. Consumption of high amounts of caffeine, alcohol or tobacco can also lead to it. Eye spasms are totally painless and harmless. Sometimes, they are also caused due to eye strain or allergies in the eyes or the eye membrane. But, there are a few cases where eye twitching is caused due to neurological disorders such as blepharospasm or amyotrophic lateral sclerosis, i.e., ALS – commonly known as Lou Gehrig’s disease. Blepharospasm is a condition where there is a sustained, abnormal, and involuntary blinking or spasm of the eyelids. It is more common in women. According to a survey, every year in the US, there are around 2,000 new cases of this disorder. It is more common in people who are either middle-aged or in late adulthood. Although it is not a very serious condition, you must take care of it immediately. 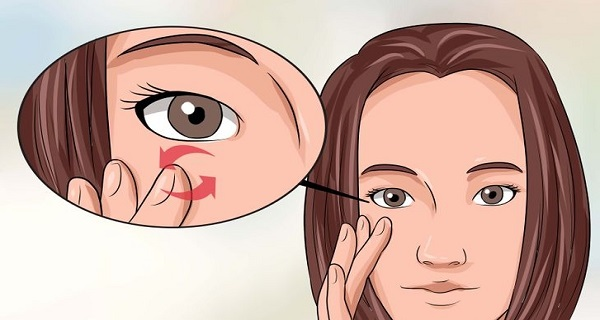 Else, it can worsen, leading to blurry vision and muscle spasm on the entire face. If the eye twitching lasts continuously for more than a week. If there is swelling in your eyes. If your eyes turn red because of the twitching. If you notice any discharge while twitching. If you notice muscle spasm on your entire face. If your eyelids get closed completely because of the twitching. If you notice any of the above symptoms, visit your ophthalmologist immediately. In severe cases, you might have to consult a neurologist or an expert in this field. Here are a few tips that you can follow to prevent the twitching. Get sufficient sleep. Try to reduce the stress and caffeine intake. You can also try hot or cold compress to let your eye muscles relax. Acupuncture and massage might also help in this situation. Do you suffer from any of the above-mentioned symptoms? If you have any doubts or queries, you can post them in the comments section below.